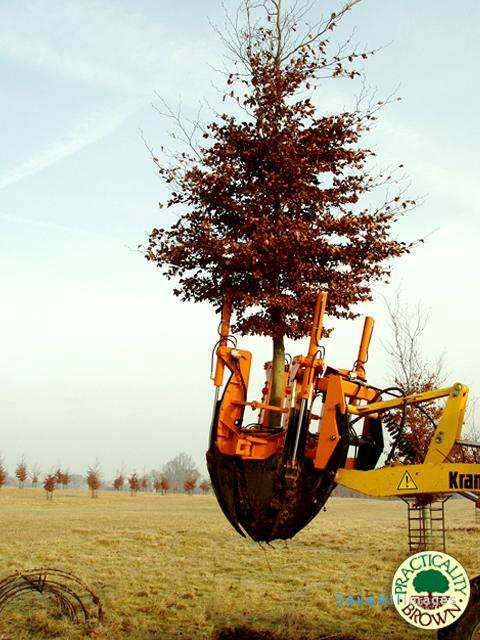 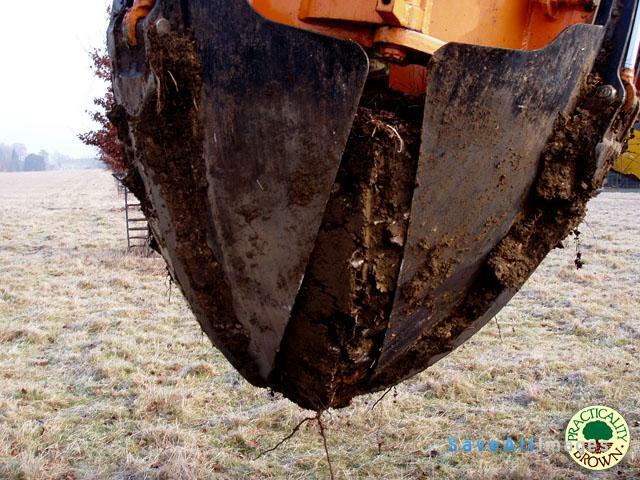 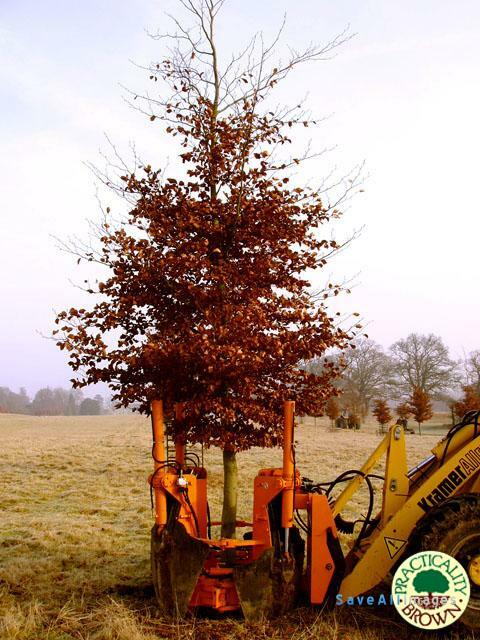 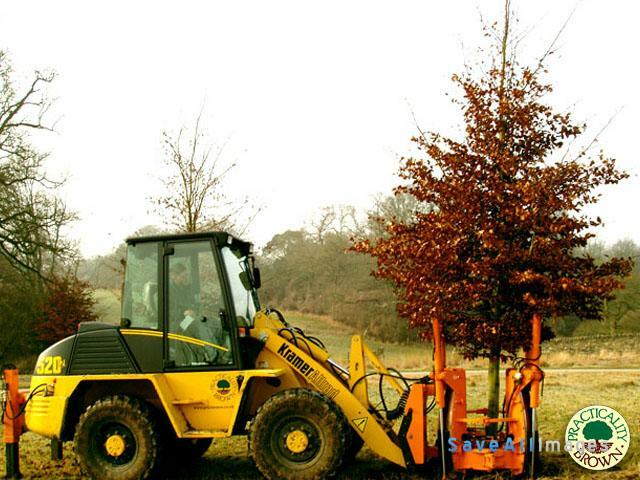 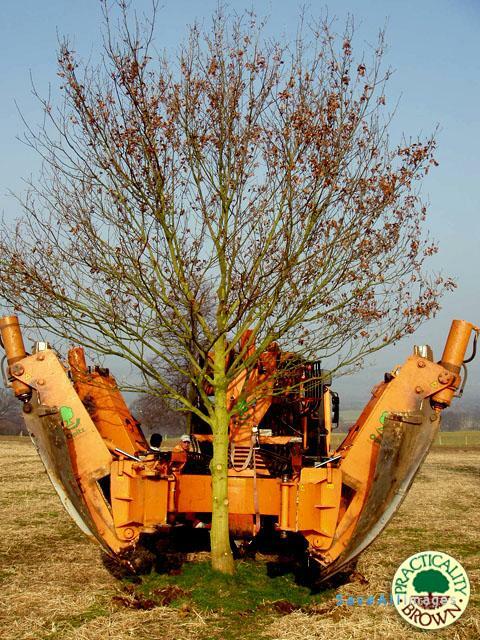 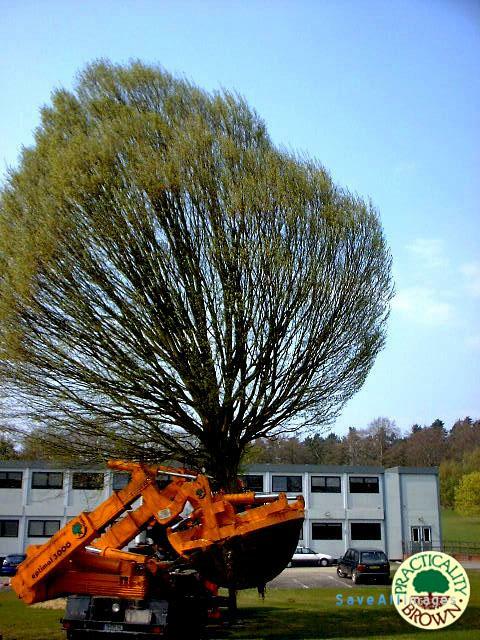 Practicality Brown’s Tree Spade Machines are capable of transplanting trees up to 100cm in girth. 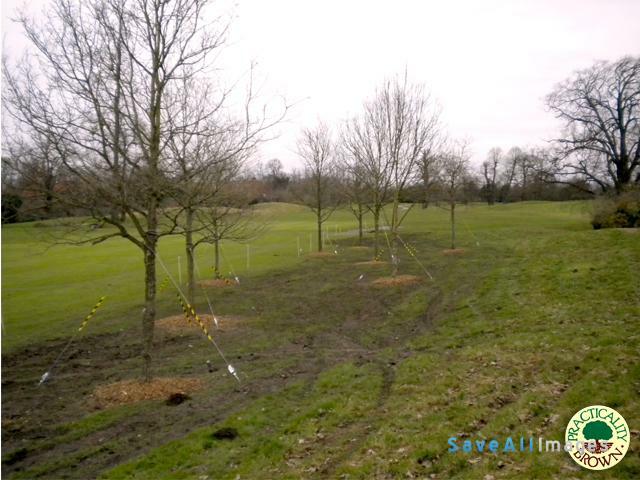 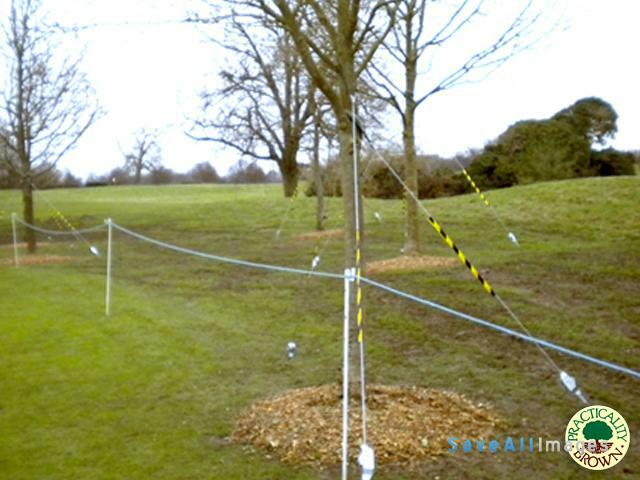 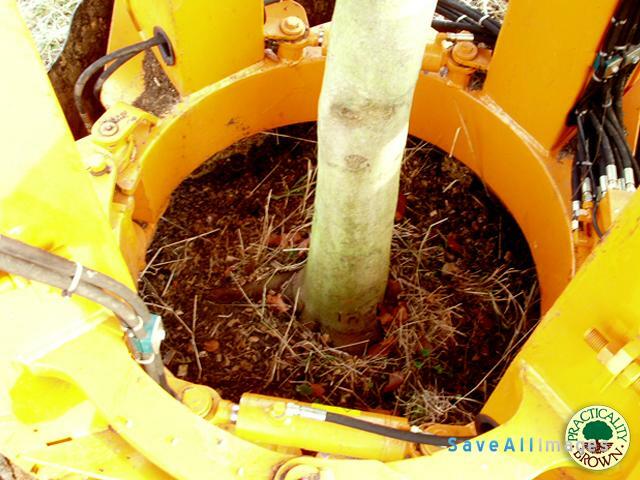 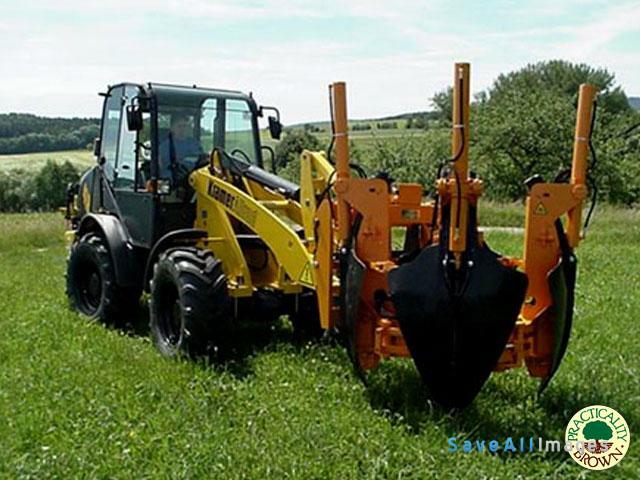 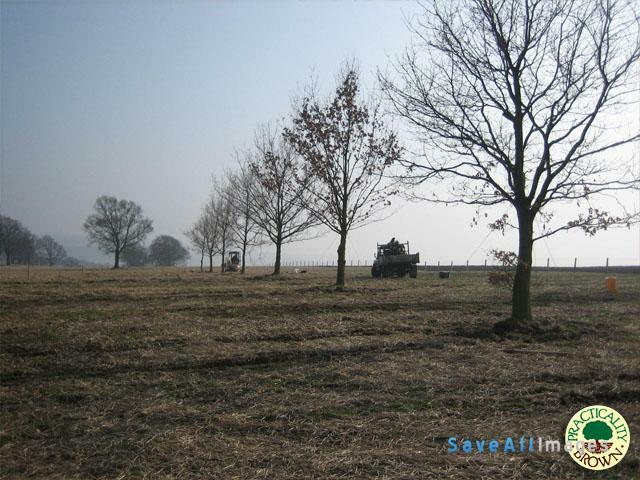 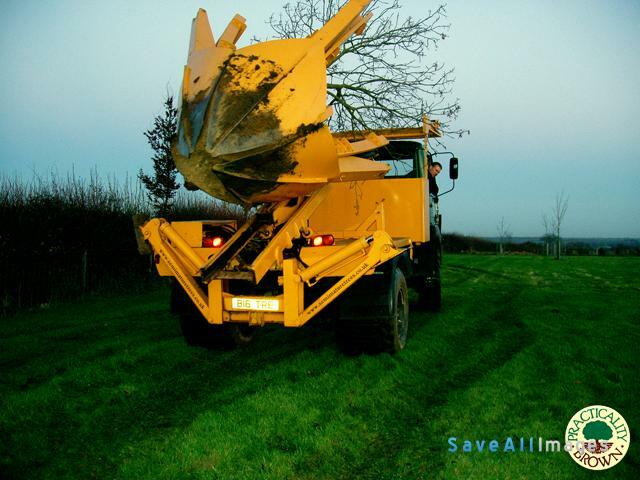 Please see our Gallery for more photos of our Tree Spade Machines in action. 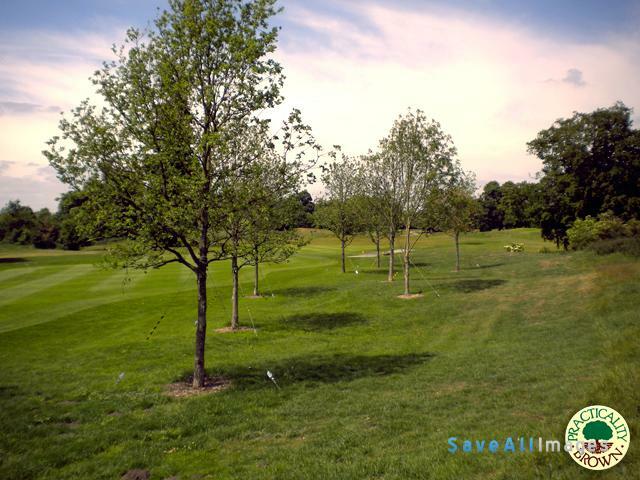 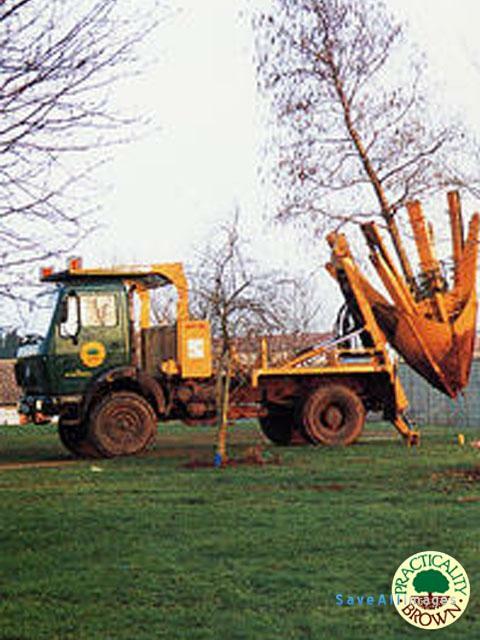 Slightly larger trees can be moved according to species and soil types, providing adequate crown reduction is implemented. 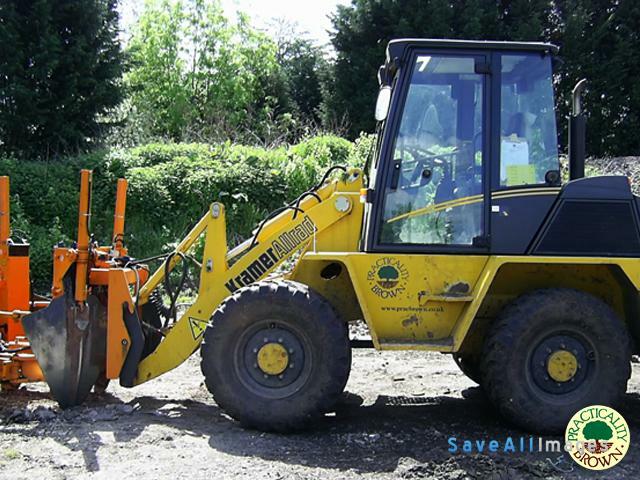 Please note that some machines can be supplied with ‘flotation tyres’ for work on sensitive ground. 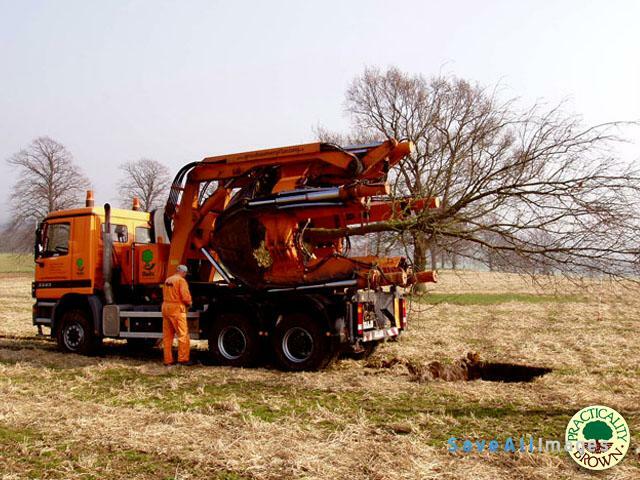 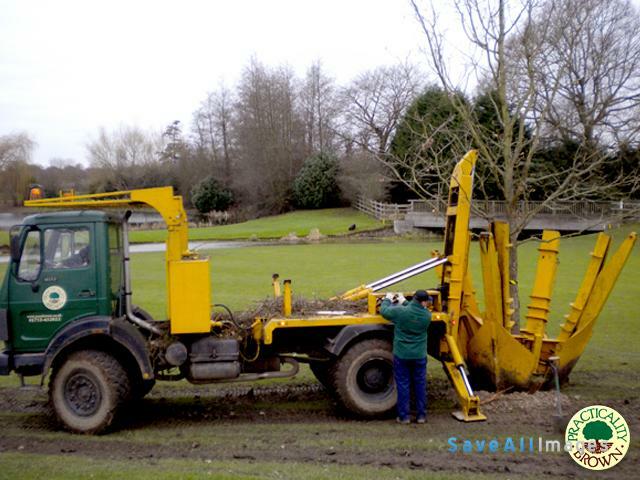 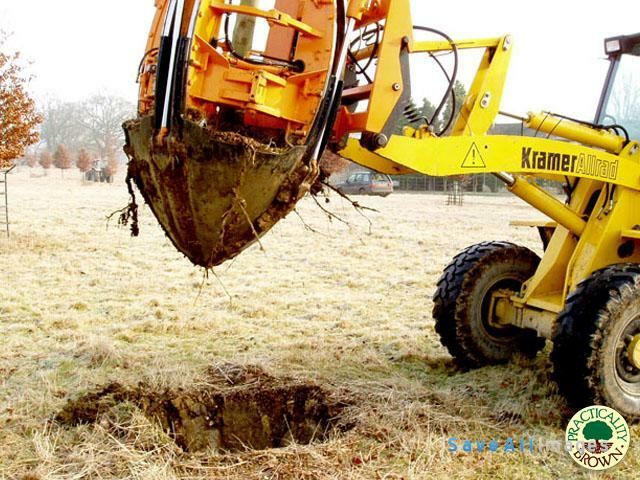 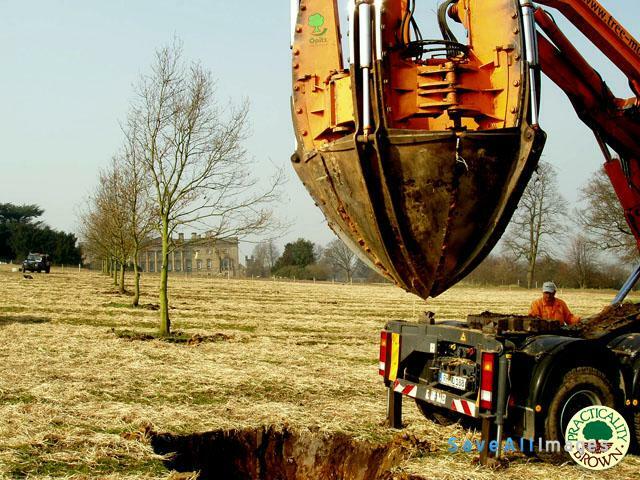 Trees too large or inaccessible to a Tree Spade Machine can be moved using the traditional ‘frame and crane’ method according to size, position and soil type. 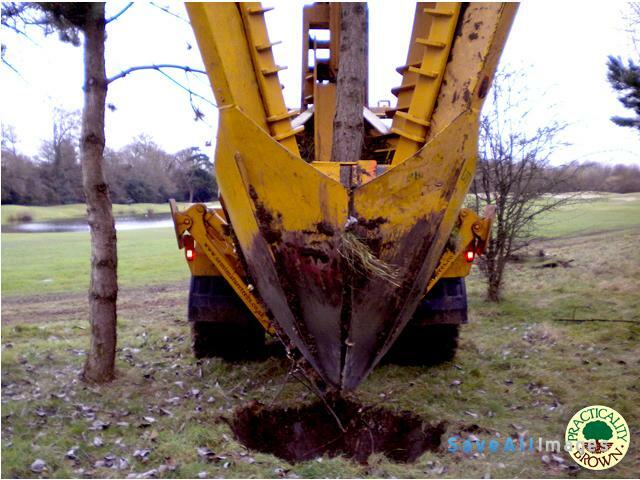 This involves digging around the tree and fitting a special frame which is then lifted by mobile crane either to a nearby position or onto a lorry to transport the tree to its new position where it is then lifted off and replanted by crane. 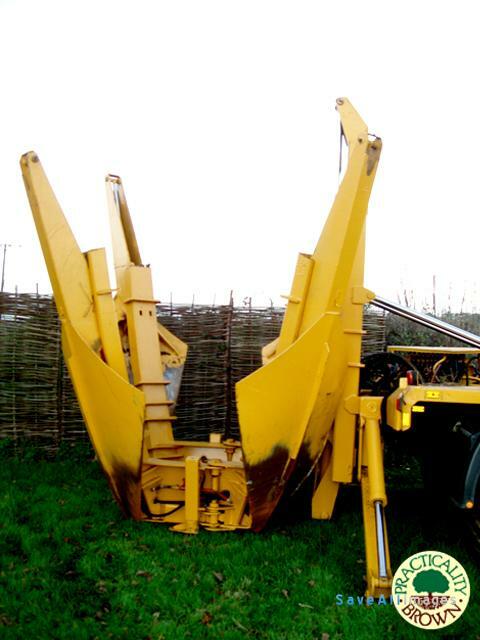 Please complete the Online Enquiry Form or contact us to discuss your requirements.